High quality mobile WiFi control at a fraction of the cost. Cutting edge app development, none of the maintenance. You make a great set of lights. We make great software. Fishbit is designed by a team of designers, developers and engineers. Never worry about servers, code or devOps. We push frequent updates and are always adding more features. Turnkey for you whether you sell 100 lights or 100,000 lights. Drive sales and build loyalty. 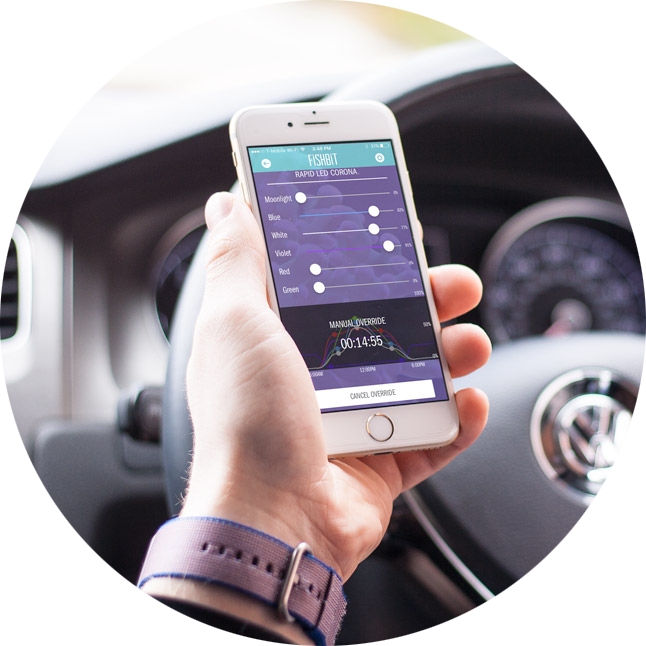 Transform your customer experience with beautiful native iOS/Android apps for your lights. Unleash the power of your lights with intuitive automation: including geolocation and scheduled suncycle ramps. Companies big and small choose Fishbit to connect their products. 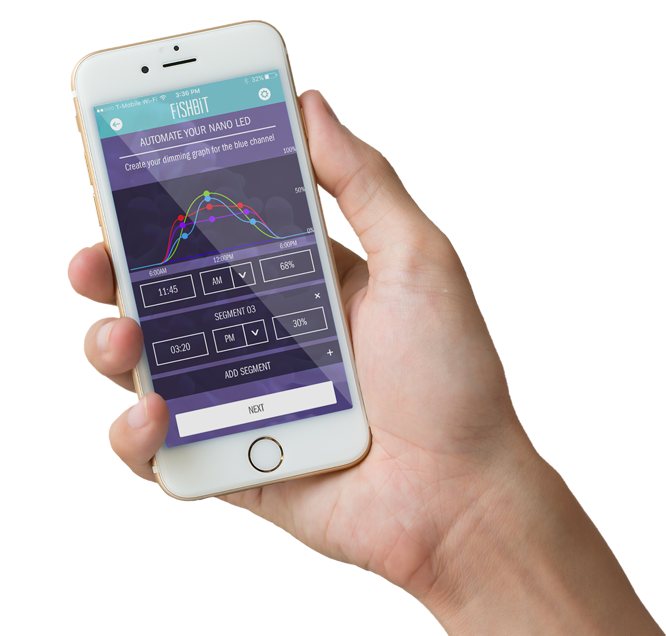 Track parameters, set reminders and so much more! Pair it with our Monitor and Controller to track pH, temperature and salinity readings in real time. 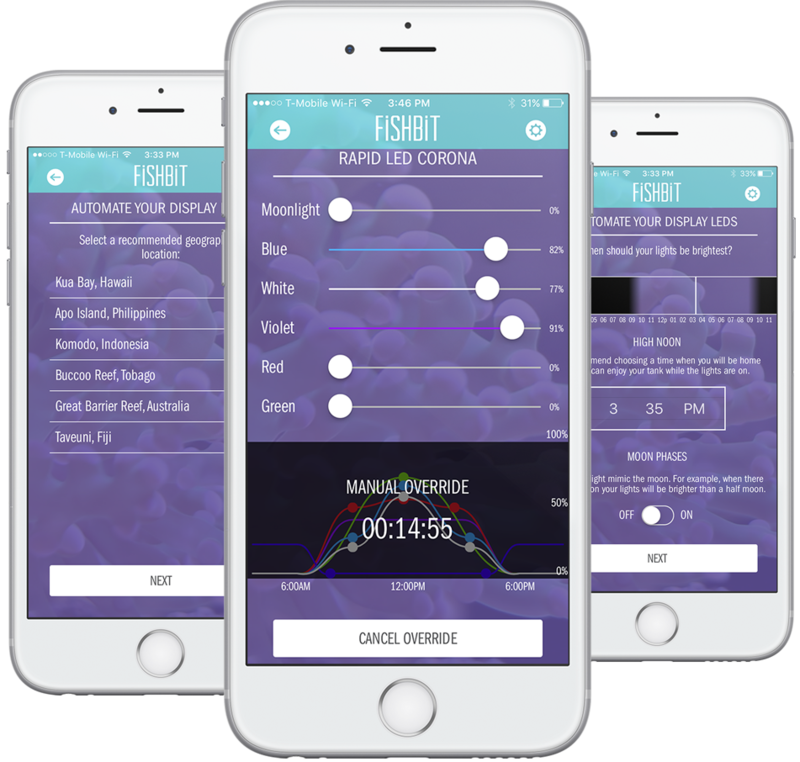 Automate your aquarium using the Fishbit app. Prevent disasters before they happen and keep your fish and coral happy!